Having an efficient Fleet Maintenance process is essential in order to cut costs and operate smoothly and safely. Lots of companies underestimate the importance of maintenance, sometimes skipping servicing in order to cut costs. But in this way they only put vehicles and staff at risk. Start having an efficient and cost-effective fleet maintenance process with our free ebook The Ultimate Guide to Fleet Maintenance: top tips for an effective maintenance system. 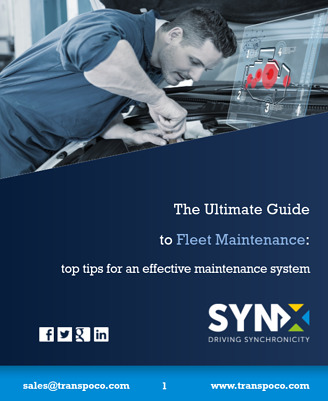 Fill in the form and get our free SynX ebook The Ultimate Guide to Fleet Maintenance: top tips for an effective maintenance system now and start reducing downtime and costs today! Yes, I want a FREE copy of the 'Fleet Maintenance Guide'!